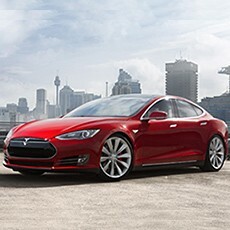 Telstra and electric vehicle manufacturer Tesla Motors have entered into an agreement to provide machine-to-machine (M2M) connectivity, for the company’s Model S car in Australia. Telstra will provide mobile connectivity to power multiple start-of-the art features in the Model S including the infotainment and remote diagnostics systems. 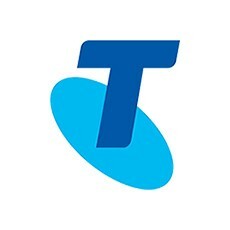 John Chambers, Executive Director, Telstra Mobile, said Australia was poised to enter an era where cars, like smartphones, connect to the mobile network improving road safety, reducing the cost of maintenance and expanding in-car entertainment and information options. “Our network will enable Tesla Model S owners to access live information via the Model S’s giant 17-inch touch screen that controls everything from the suspension, to the climate control through to the sun roof. Drivers and passengers will be able to use the Telstra network to stream music, pull up high-detail maps and navigation, and access near real-time traffic updates,” said Mr Chambers. Mr Chambers said the Telstra Mobile Network would also make it possible for Model S owners to use a special app to remotely control features in their vehicle. In addition to providing drivers with near real-time information about their vehicle, Telstra is also connecting the remote engine diagnostics system that can relay information about the car’s performance to Tesla service staff. If an owner feels something has gone wrong with their car, remote diagnosis helps enable Tesla to determine the issue and a solution without direct access to the car. Telstra is the natural partner for automotive companies looking to bring connected car technology to Australians. Its mobile network covers more than 2.3 million square kilometres, the largest mobile network in Australia, including 8,300 km of Australian highways not covered by any other mobile network. Telstra was recently named 2014 Asia-Pacific M2M service provider of the year by Frost & Sullivan.